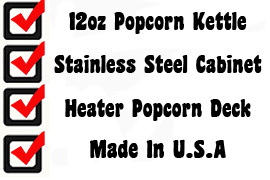 Paragon's American-made Professional Pop 12 popcorn machines are unparalleled in quality and workmanship and are comparable to commercial popcorn machines you find at the movie theaters. 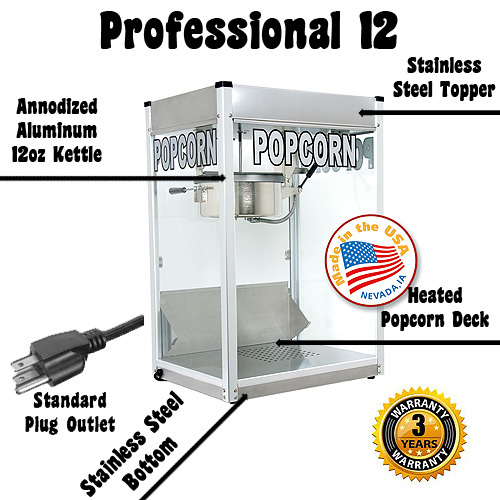 If you are looking for the highest quality popcorn machine in the market, you will find it in the Professional SeriesPop 12. 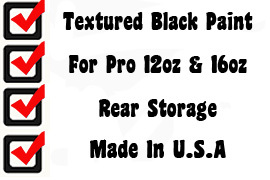 Remember, the Professional Series 12oz popper works on standard, regular current. No need for special wiring!